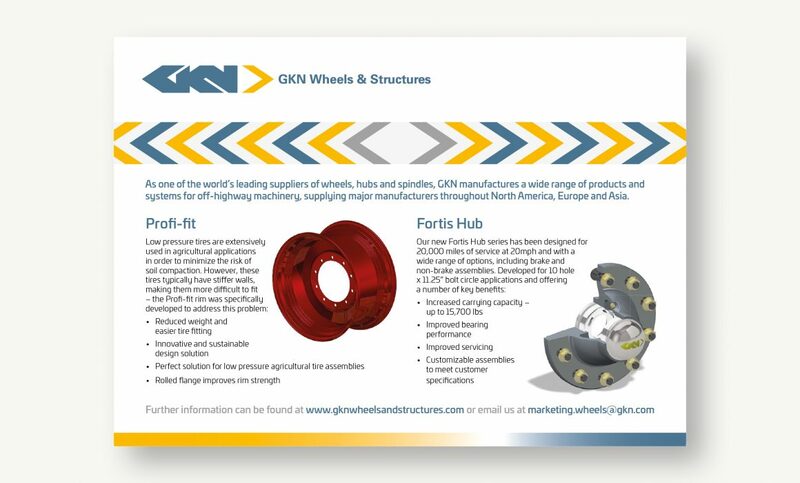 We created a half page advert to help advertise two new products from GKN Wheels & Structures range. This specific advert designed for an American publication focuses on the ‘Profi-fit’ rim and the new ‘Fortis’ hub. The design reflects GKN’s strong brand identity and style as one of the world’s leading technology and engineering companies.